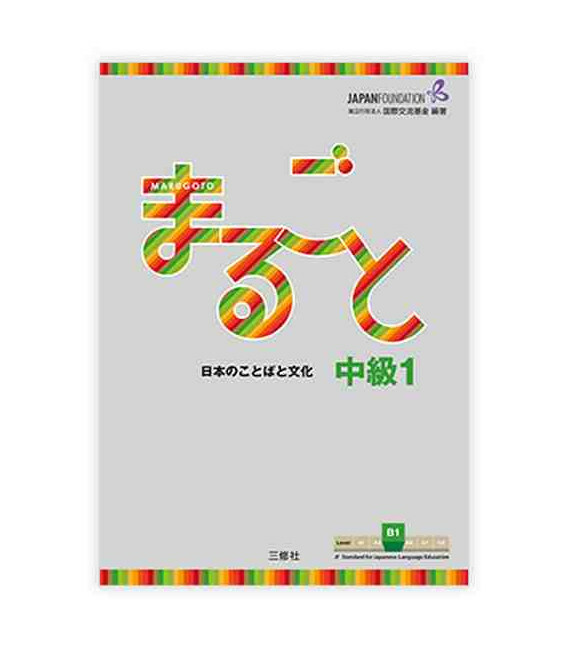 Marugoto: Japanese Language and Culture is a series of textbooks edited by the Japan Foundation and is based on the JF Standard for Japanese Language Education which provides Japanese language and culture courses. 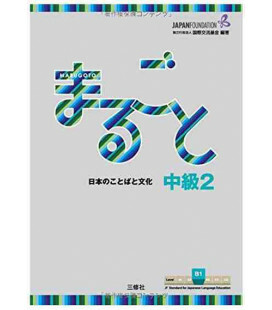 The Marugoto series consists of six levels: A1, A2, B1, B2, C1 and C2. Each level may include one or more volumes. Each method is split into two parts: Rikai (textbook) and Katsudoo (Communication activities). 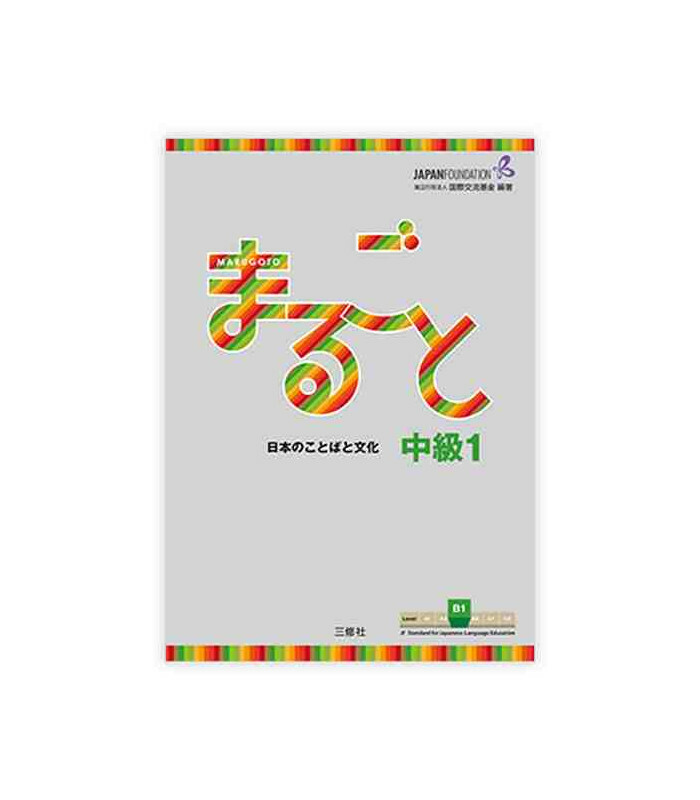 This book is an Intermediate level (B1) and combines Rikai and Katsudoo in one single book. - is in accordance with the common European guidelines.